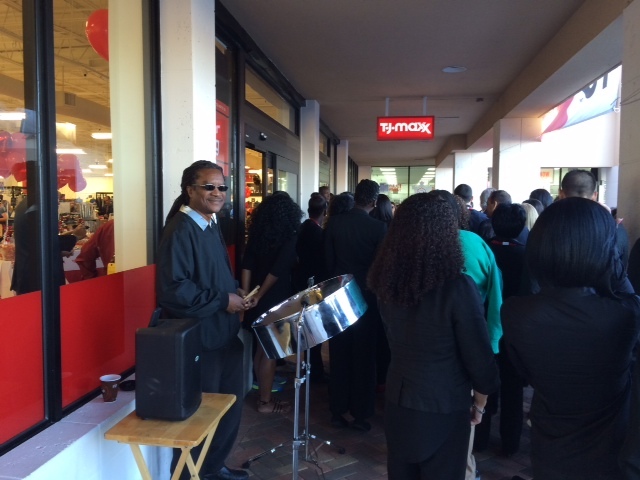 A new T.J. Maxx store opening in Miami welcomed their guests with steel drum music. A nice touch while the anxious people waited in long line-ups to get some great deals! 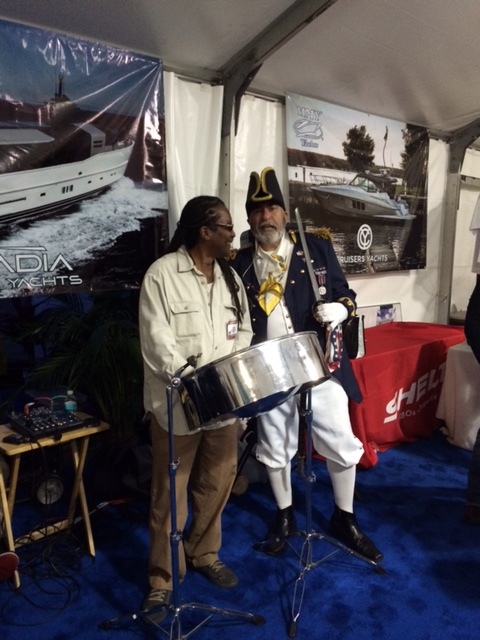 The annual Palm Beach International Boat Show always draws big crowds. 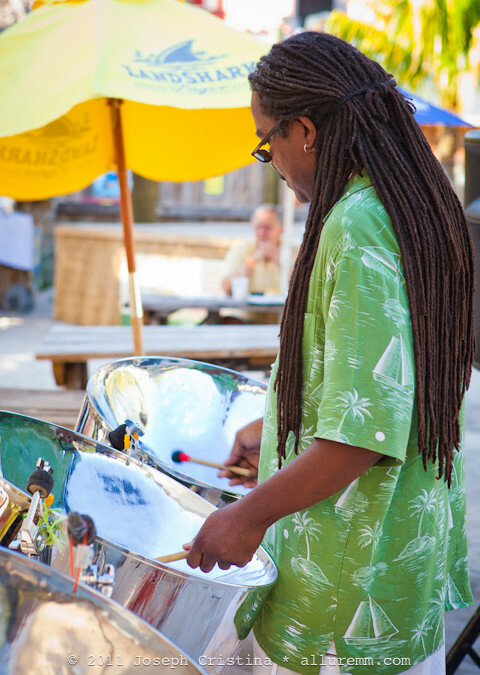 Here, the Captain checks out the steel drums! 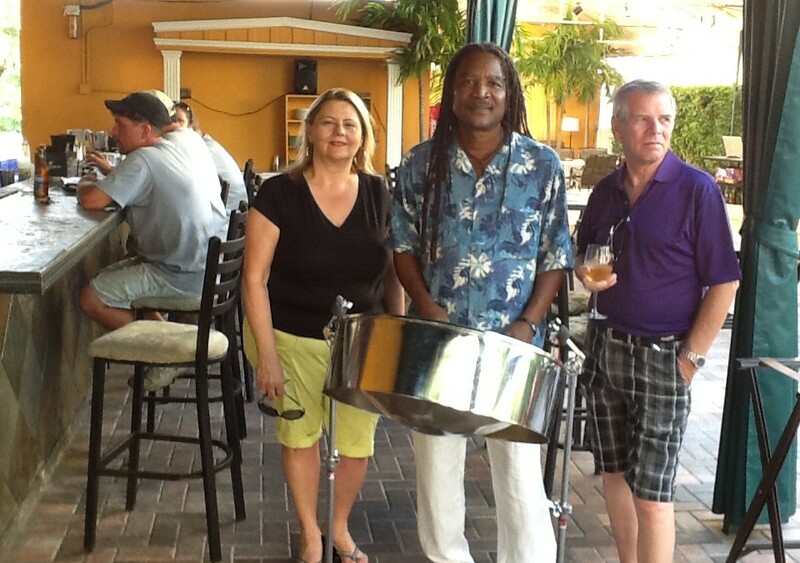 Hanging out with guests at The Cottage, a local hang-out in downtown Lake Worth. What more do we need? 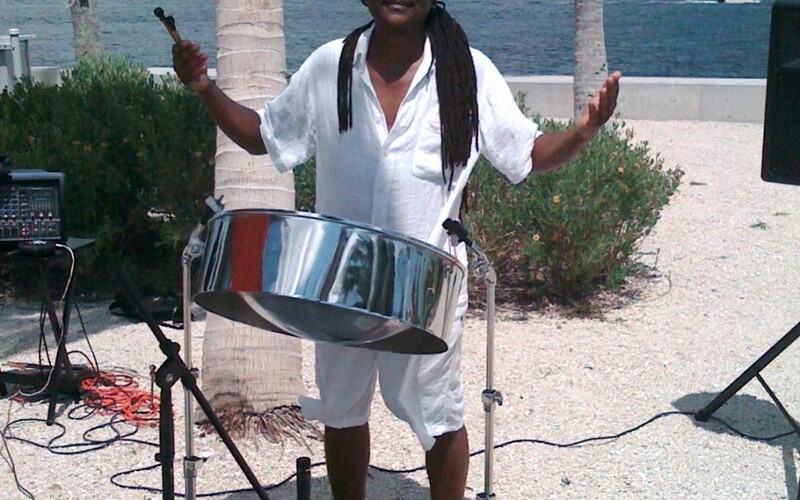 Sunshine and music – enjoying the vibe of steel pan while strolling along Flagler Ave. in downtown West Palm Beach. Ed has played at Panama Hatties and Rum Bar, a lively spot on the Intracoastal serving seafood & cocktails amid an island vibe.